Everyone knows that Etsy and Ebay are excellent reselling tools, so I wanted to highlight a couple of extremely easy to use and free reselling resources. They're great for starting out or for using in conjunction with the Ebay and Etsy shops you've already got set up. Storenvy Attractive and easy to use, Storenvy has 5,000 stores and was just named as one of Entrepreneur magazines 100 Brilliant Companies. It's time to update you on my experience setting up a Storenvy shop! It might not have as much traffic as Etsy or Ebay, but listings are quickly captured by Google (I can tell by my Google Alerts) so people can find items in your shop with a Google search. My biggest sale was my beautiful tiki-style siestaware cups, they sold for $70! A Social Environment: The main differentiator from other e-commerce sites is that Storenvy gives sellers a standalone online store and social marketplace that helps you get organically discovered. Just like with Etsy, you should interact in the marketplace to get your name out there and make friends! More Perks: Stores are fully customizable, you can buy a custom domain for your shop, and about 15% of sales come directly from people surfing the Storenvy marketplace. 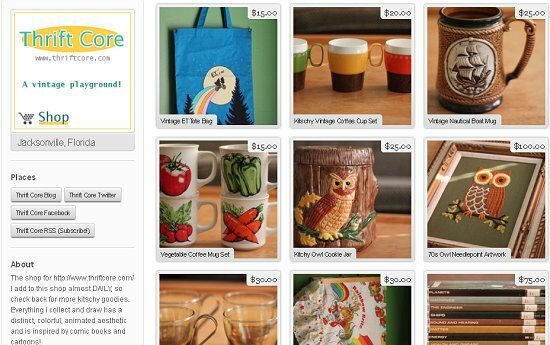 The Real Deal: Storenvy has so many tools that are excellent for beginning resellers. It prompts you to make item numbers for each item you list, there's a simple checklist you can use to track who you've shipped stock out to, and it's user-friendly and attractive with social media widgets. I can confidently recommend Storenvy, but remember that it'll be up to you to promote it, just like you have to work a little harder to promote your Etsy shop to make sales. Krrb The perfect tool for a reseller on Etsy or Ebay, you can add 30 posts in 60 seconds! Another newcomer, Krrb is another extremely user-friendly reseller tool. The best feature is that it allows you to add posts from Etsy, Craigslist, Ebay, or LeBonCoin (French) in one click. You can literally add 30 posts to Krrb in 60 seconds! See this video and post for detailed instructions on using the 'Krrb it' tool and signing up on Krrb. 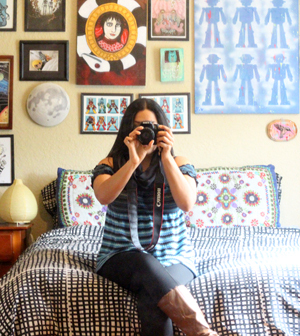 The Real Deal: Krrb is excellent for bartering, trading, and making sales online. When you can add all of your Etsy and Ebay posts in one click, it doesn't hurt to make an account and see if something sells! Antengo Real-time reselling, from your smart iPhone! It only takes 45 seconds to post an item! Antengo is a real-time and Hyperlocal buy/sell marketplace.We already have a very high percentage of “crafters” and “thrifters” using the service to sell goods locally. It takes 45 seconds to post an item for sale. Antengo doesn’t take any money from a transaction. 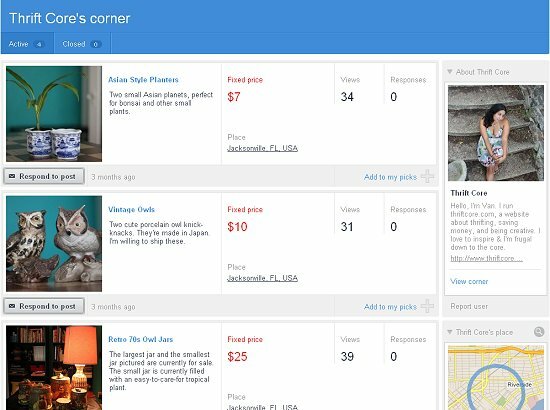 Sellers simply use Antengo as the venue to post their content and handle sales offline. It’s actually preferred to the online eCommerce marketplaces because those require shipping across the country, when the motto should be to “live locally.” Antengo is the location-aware, mobile etsy. Antengo is currently accessible via a free iPhone application or you can post using your twitter handle from here: www.antengo.com/quickpost.php. As of a week ago, Antengo is venture-backed and launching the marketplace in hundreds of college newspaper apps, and much more! In Conclusion: If you already have an Etsy and/or Ebay store, it won't hurt to try your luck listing merchandise on Storenvy and Krrb. More eyeballs and exposure means more sales! If you try any of the tools above, please follow-up and let me know if they work for you! 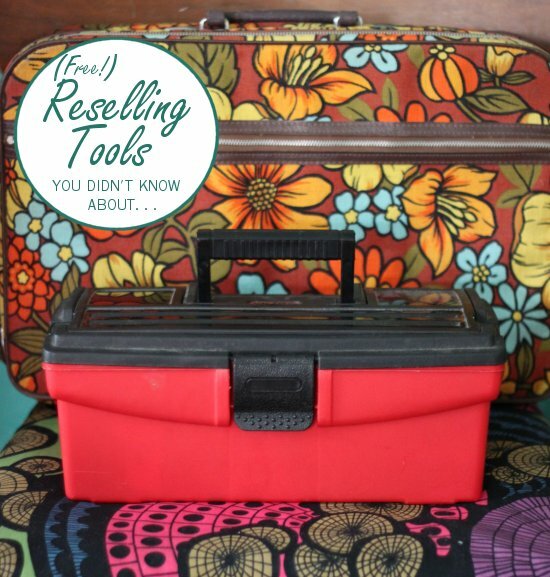 What reselling tools do you use? Another great article, Van. After seeing your success with Storenvy, I looked into them but eventually decided to go with eCrater for my site's store feature, only because the audience seemed like a better fit for my items. These store builders are so easy to use, I think that eBay might finally get some much needed competition (fingers crossed). Brian: I'm glad the post was helpful! Thanks for sharing another tool for me to look into. I'm going to keep experimenting with different tools, it doesn't hurt to try the free ones first! thanks so much for sharing this! i will have to check these out more as i need to get my citybird word out there! hey lady i never emailed you about a bike! i will do so right now! Thanks, Van. It is always good not only to hear about new sales sites but to hear persoanl experiences with them.